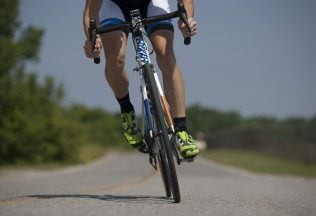 A drink which alters the way the body generates its energy has increased the performance of cyclists in a UK-led study. The study highlights the importance of ketones (molecules derived from fast) rather than sugar, in generating the body’s energy. Published online by the Cell Metabolism journal, the study found that after the highly-trained cyclists consumed the ketone drink they were able to add up to 400 metres of distance to their workouts. The drink was originally developed for soldiers and works by temporarily switching the primary source of energy from sugar or fat to ketones. Author on the paper, Dr Pete Cox from the University of Oxford, said it was interesting how a single drink of ketone can allow someone to do the same exercise with a completely different metabolism. “Given the findings of this study, which challenges our fundamental understanding of human physiology, it will be tempting for many to focus on pursuing the endurance and sport-related avenues, but it would be a great shame if the metabolic basis of this work was not further explored,” Dr Cox said. Ketones are made in the liver from mobilised body fat. When the body does not get enough fuel from food, internal fat stores are broken down to create ketones that feed the brain. Normal metabolism is driven by the burning of carbs and fat obtained from eating food. Despite the findings appearing to be good news for athletes, the scientists advised that having too much of the drink would not be good as even though ketones become the primary metabolite with the drink, some glycolysis is also needed for the beneficial side effects to take place. It is expected that the drink will be made commercially available within a year.